COOLING DESIGN - Experience a temperature neutral sleep. 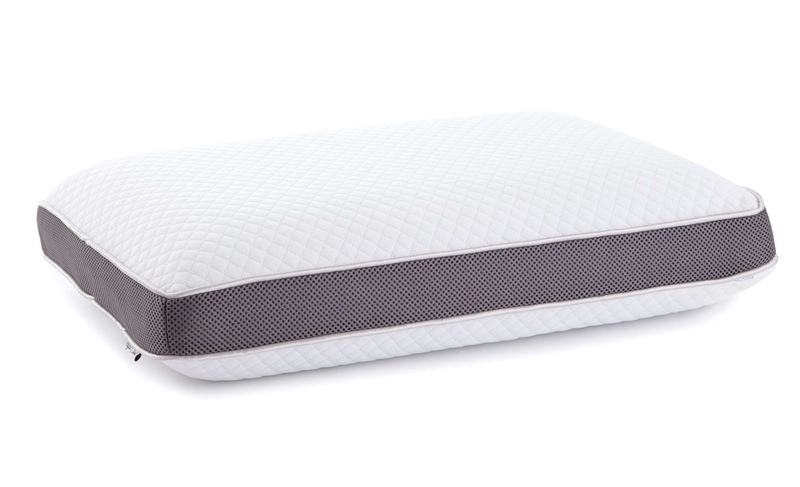 Our proprietary blend of viscoelastic memory foam and cooling gel technology offers you soothing support all night long. FIRST-CLASS PREMIUM KNIT COVER | Our best-in-class premium textile stretch knit cover is fully removable for easy cleaning care. It features a durable zipper so you can easily remove for gently washing, and is so soft and snuggly that you may not want to put a pillowcase or sham over it! And who would blame you? The quality of this plush quilted textile cover looks and feels absolutely amazing, and could possibly put your current linens to shame. HYPOALLERGENIC & DUST MITE RESISTANT - Allergy sufferers no longer need to compromise comfort! 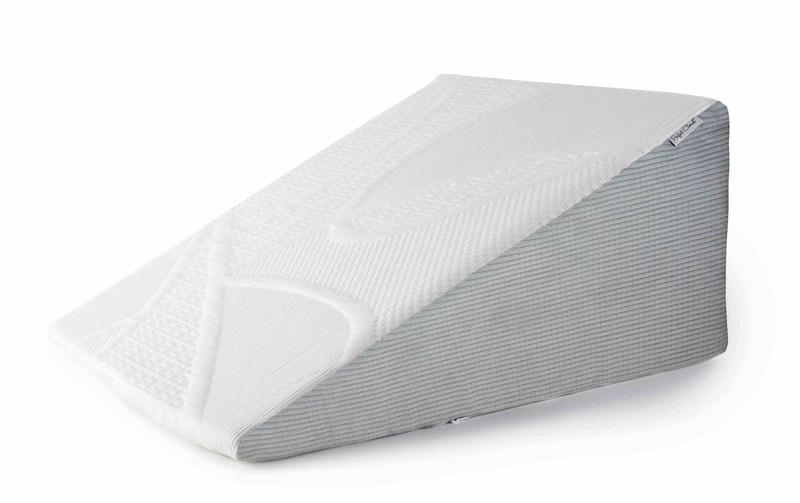 This easy to care for pillow is your first step towards pain free rest. OUTSTANDING VALUE - With our direct from factory price, you save money! By selling exclusively on Amazon, we're able to keep costs down. BACKED BY THE PERFECT CLOUD GUARANTEE - We guarantee you'll love the pillow, and if you aren't absolutely satisfied, return it within 30 days for a refund, no questions asked. 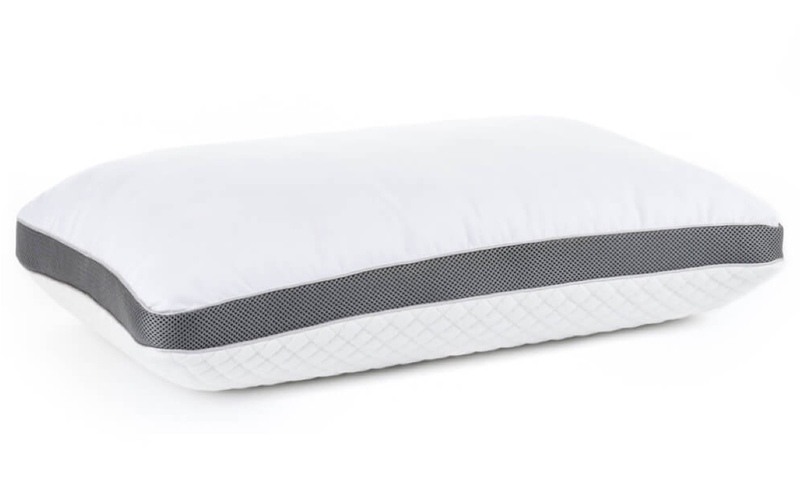 Perfect Cloud’s GelBasics memory foam pillow is made with thoroughly tested memory foam that helps eliminate nervous tension caused from common head, neck, and shoulder pain, which frequently keep you awake and unrested. 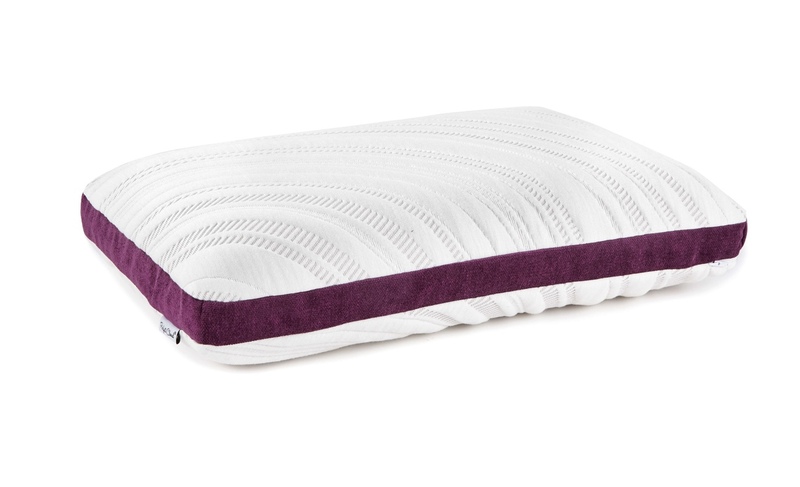 As an added bonus, the GelBasics is designed with a ventilated gel-infused cooling foam to help you maintain a temperature-neutral sleep experience. 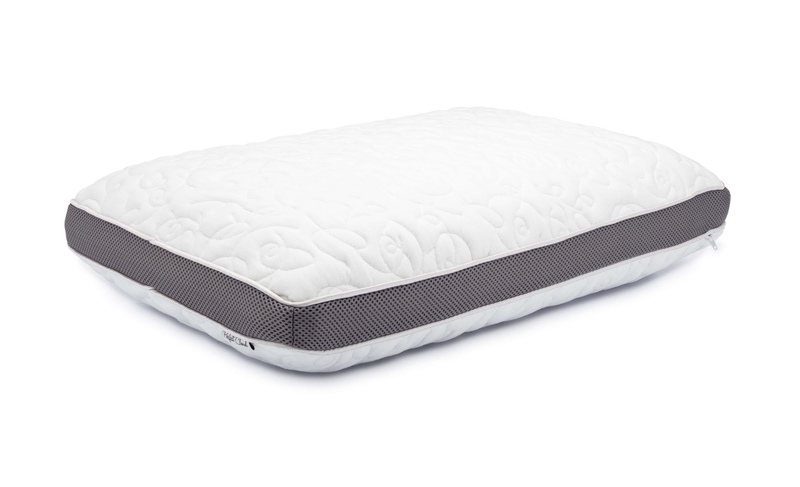 COOLING DESIGN | A proprietary blend of viscoelastic memory foam and cooling gel technology offers you soothing support all night long. Perfect Cloud Diamond Rest was my first purchase. The memory foam core was the only thing I found likable in that pillow; couldn't machine wash cover because it's lined on one side with loose fiber fill that can easily bunch. Smelled fairly strong too.This one is everything the other wasn't. No loose filling, removable and machine washable cover. The right cover with no strong smell. Washed the cover before first use, slept fine the first night without the odor. I like the support and cover level and height seems right where I need it to be. I've slept on it a few nights and have no complaints which is good, considering my standards of comfort. It's winter but not noticably hot. The core is encased in a protective cotton elastic wrap; that along with the washable cover and infused gel may be what it needs to keep it cool on warmer nights. Pillowcase matters too, I believe; I'm currently using the synthetic microfiber ones from a sheet set. No idea how comfortable they are in summer; fine for winter. 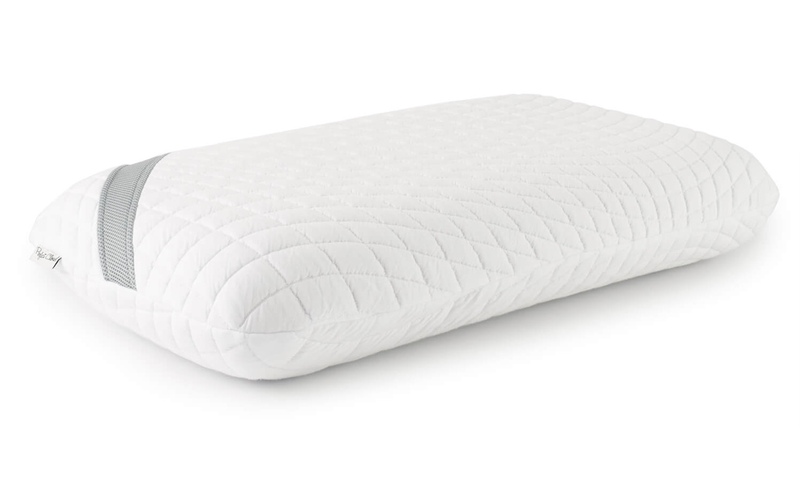 I had a very similar fashioned gel pillow, only available in standard size, that I picked up at Target that was very similar to this so I don't expect it to be too hot. Very comfortable Pillow, good support. Have had the same pillow for over 10 years- finally switched, haven't slept better in a long time, and no more aching neck!